Redevelopment to provide a six storey office building, with retail at ground/basement level together with two storey retail pavilions, single storey retail kiosks, and public realm improvements. 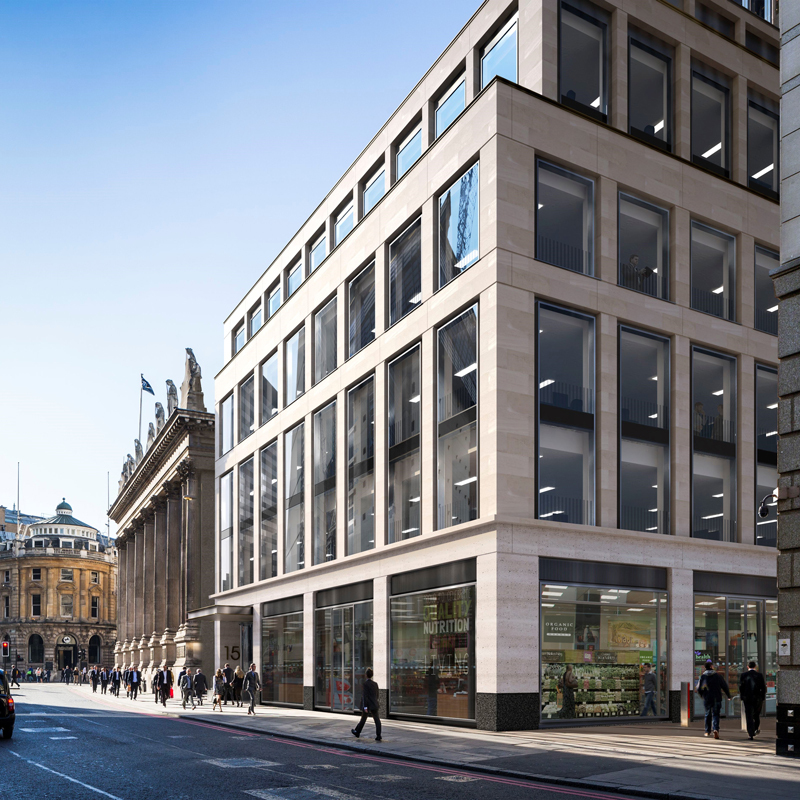 Replacing an existing post-war commercial building annexed to Tower 42, the new building abuts the Bank Conservation Area and adjoins the grade I listed Gibson Hall. Design development advice and Townscape, Visual Impact and Heritage Assessment.